The world is facing unprecedented "environmental breakdown" which could threaten the stability of societies, a report from a think tank warns. Climate change and damage to land, soil, air, water and animal populations are happening at such a scale and pace that the window to prevent catastrophe is closing, the report from the Institute for Public Policy Research (IPPR) said. Politicians and policymakers have failed to recognise that human impacts on nature have reached a critical stage, the report says, warning that historic disregard for the environment in policy has been a "catastrophic mistake". The impacts of environmental breakdown could include financial instability, large-scale involuntary migration, conflict, famine and the potential collapse of social and economic systems, it said. In the UK, "one of the most nature-depleted countries in the world", populations of the most threatened species have fallen by two-thirds on average since 1970. Some two million tonnes of topsoil is eroded annually and nearly 85% of fertile peat soil in East Anglia has gone since 1850, with the rest at risk of being lost in the next 30 to 60 years, the researchers said. Politicians and officials need to understand the scale and pace of environmental breakdown, the implications for societies, and the need for large-scale transformation to tackle the crisis, it said. 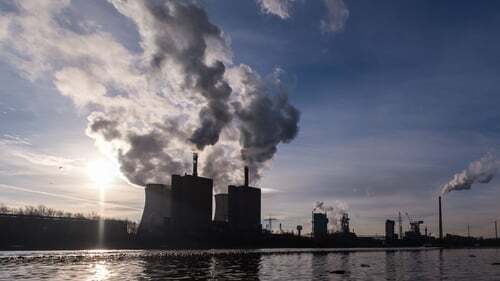 The report also warned that countries such as the UK needed to start planning for the impacts of changes that are already set to occur, for example as a result of rising global temperatures. Areas of environmental breakdown the report identifies include climate change, loss of wildlife, ocean acidification which is caused by carbon emissions and which harms wildlife, and changes to land, including deforestation and soil erosion. The report also warns natural systems are being damaged by phosphorus and nitrogen runoff from farming, and that pollution from various sources such as vehicle emissions and plastic waste is also causing problems. It also points to the shrinking hole in the ozone layer as a rare example of damage to natural systems being reversed due to a ban on CFCs which were causing the problem. Laurie Laybourn-Langton, lead author of the report, said: "Our research shows how urgent it is that we understand and address a much wider range of environmental issues than climate change alone. "Overall, the environment is breaking down, with consequences which include more drought, famine, forced migration and war. "Environmental breakdown poses a catastrophic risk. This is a crisis." Lesley Rankin, IPPR researcher, said: "This is a crisis particularly for millennial and younger generations - the leaders of tomorrow. "They face the daunting twin tasks of preventing environmental breakdown while responding to its growing negative effects and the failure to stop the damage sooner. "The report finds some signs that action to prevent catastrophe is possible, including the healing ozone layer and the accelerating roll-out of clean technologies. "We need to move from these isolated successes to a transformation to make our societies and economies sustainable, just and prepared."